Roseburg Breckenridge Cedar Siding is superior siding panel that is designed to create a gorgeous, natural wood look that will last for generations. The surface of the panel is produced utilizing a select import hardwood veneer which has an appealing natural textured look. The interior core of the panel is made from strong western softwood veneer along with a fully water resistant (NAUF) phenolic resin. 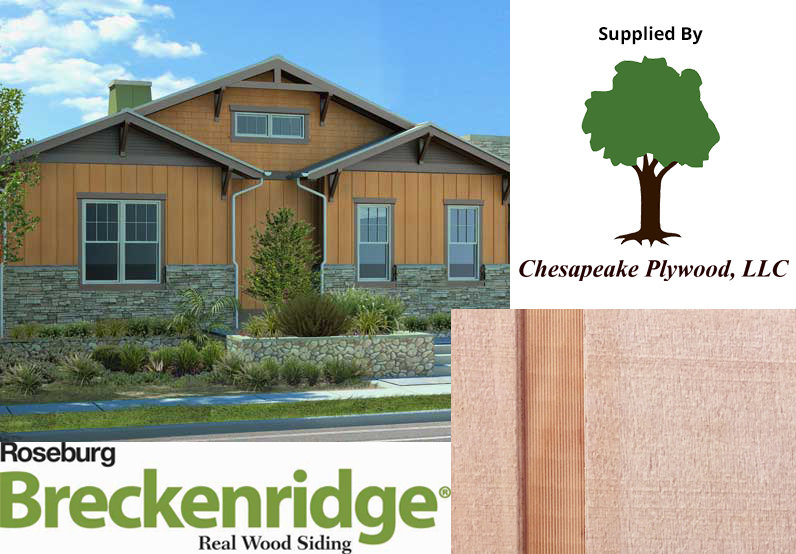 Unlike cement and vinyl siding, Roseburg Breckenridge Cedar Siding consists of real wood, an environmentally friendly renewable resource. Roseburg Breckenridge Cedar Siding is available throughout North America at some of the greatest and most respected wholesale distributors, retail building material retailers and home improvement centers. We invite you to contact 1 now to find more info about Roseburg’s Breckenridge Siding. Listed. See WUI Tech bulletin for more information. Unlike vinyl and cement siding, Select Veneer – Real Wood Siding is made from real wood, an environmentally friendly renewable resource. Roseburg owns more than 600,000 acres of sustainably managed timberlands in Oregon, North Carolina, and Virginia and recycles 1.5 million tons of wood waste annually, converting it into panels that sequester carbon. The company has developed an Environmental Management System (EMS) at all manufacturing facilities and has been recognized for their efforts, including the 2010 Award of Excellence in Riparian Management from the American Fisheries Society’s Western Division and receiving acceptance as a shipper/transport partner in the Environmental Protection Agency’s (EPA) SmartWaysm Transport Partnership. All other thicknesses, deep groove at 16” o.c. everything else can be special ordered. Breckenridge siding is available with and without grooves. To begin the finishing process, the timber surface must be dry and clean prior to any finish application. An all acrylic-latex paint system will do the best job of sealing the wood from moisture and ultraviolet exposure from the sun. The acrylic-latex paint works best if it first has a primer employed of the exact same manufacturer because the paint. Solid-color stain, limited to either latex or oil-based, can provide decent protection, but generally has to be reapplied more frequently than the oil paint. Semi-transparent or opaque spots can be used on Breckenridge but aren’t recommended on Douglas Fir or even DuraTemp siding. Latex semi-transparent stains or oil-based home paints aren’t suggested. In addition, spray application is not suggested. Finishing should be applied by brush or roller instead of spray application. 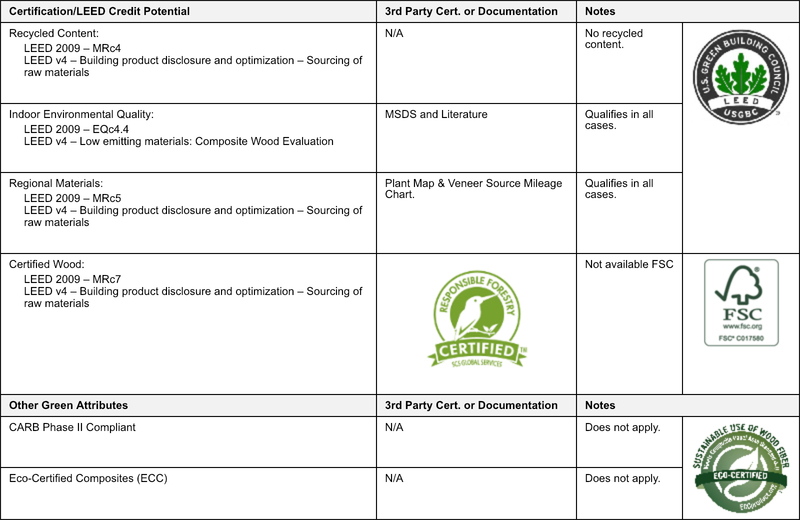 Most importantly, read and follow the paint manufacturer’s directions for completing the siding project. Roseburg Breckenridge Cedar Siding must be stored indoors, particularly if it won’t be utilized immediately. When it’s important to keep the siding outdoors, the components must be stored off of the floor and covered loosely with protective stuff. The arrangement to which the siding has been implemented should be well vented and sterile prior to siding application. New construction should be left open to allow for ventilation of extra construction moisture. Siding panels could be set up vertically, right over wall framing (studs or 26’s), given the on-center stud spacing doesn’t exceed the length rating given on the panel rear stamp. All panel ends and edges should happen over framing. Roseburg recommends a 1/16″ minimal gap between panel edges and 1/8″ gap between panel endings. Panel spacing is important to allow for any possible panel growth caused by moisture absorption. Horizontal joints in multi-story buildings must allow for framing shrinkage. Nail the siding 6″ on-center together panel ends and edges and 12″ on-center on intermediate supports (shear walls require additional nailing). Use only corrosion resistant nails. Utilize 6D box, casing, or siding nails for panels 1/2″ thickness or less (a minimum of 5/8″ in the panel border ), and 8D for greater thickness (minimum of 3/8″ in the panel border ). When applied over wood or plywood sheathing, the nails must penetrate 1″ into the studs, except when Gypsum sheathing can be used the claws should permeate the framing 1-1/2″ minimal. The nailing sequence can also be a factor in keeping a uniformly flat look to the wall. Position the siding panel, keeping the recommended border spacing, and lightly tack at every corner. Install the first row of nails next to the preceding panel from top to bottom. Eliminate the tacking nails. Then nail the row at the first intermediate stud. Continue by nailing at the second intermediate stud, and eventually at the border opposite the preceding panel. Finish the setup by adjusting to the top and bottom plates. The nail heads must be snug or flush with the panel surface. Let at least 6″ between the bottom edge of the siding along with the finished grade or horizontal surfaces. Building paper is not required for vertical setup, unless specified by local building code. Employ a vapor barrier to the hot side of the wall. For the best functionality, Roseburg recommends a solid-color acrylic-latex complete be placed on the siding inside 30 days of setup. Proper upkeep of Roseburg Breckenridge Cedar Siding is very important to maintaining its life and appearance. Prolonged exposure to the sun and weather will lead to any finish to show its age. When the finish fails to offer sufficient protection, siding can become brittle, cracked and eroded, causing it to lose its adhesion, fade or mildew. For that reason, it is important to maintain an excellent complete and, if needed, re install a protective coating when bare wood is exposed, or flaking and peeling is detected. Before refinishing, remove all dirt, mildew, loose and chalk finish from the surface. A minimum of 2 mils dry coat thickness is recommended when using solid finishes. Primers may be required for bare wood or any time a color change is created.